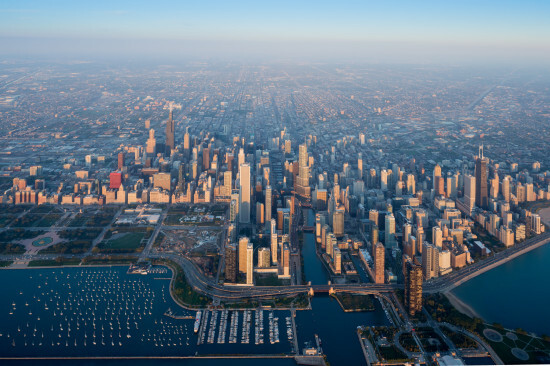 Chicago, photographed by Iwan Baan for the inaugural Chicago Architecture Biennial. More than 60 design firms across four continents will contribute to a new festival of design that aims to become the largest international survey of contemporary architecture in North America, co-artistic directors Joseph Grima and Sarah Herda announced Tuesday. The Chicago Architecture Biennial kicks off October 3 and lasts through the year, comprising one-time events and ongoing exhibitions across the city. The festival will be based at the Chicago Cultural Center, but activities will extend to sites including Millennium Park, Michigan Avenue’s City Gallery, 72 East Randolph Street, and the Theaster Gates–rehabbed Stony Island Arts Bank. Chicago officials announced the biennial in June. Until now details were scant on the festival, which takes after the Venice biennale. 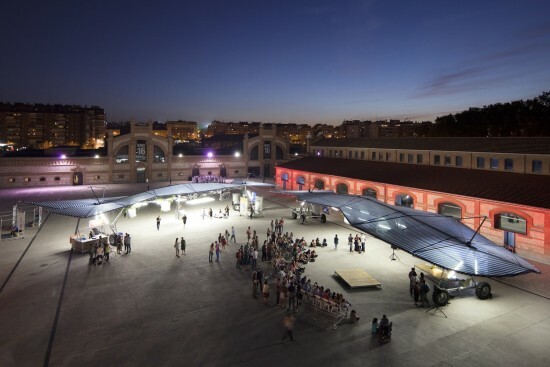 Questions remain, however, on the content of the participating designers‘ expected contributions, and on the city’s ability to fund what has been advertised as a major tourist draw with global cultural significance. Oil giant BP agreed to donate $2.5 million for the inaugural show—a contribution that was reportedly solicited personally by Mayor Rahm Emanuel. And Tuesday Biennial organizers announced a $1 million gift from SC Johnson. But the city’s still looking to raise at least half a million dollars more. “The Biennial team affirms with confidence that the fundraising goal will be met,” said a spokeswoman. The Chicago Department of Cultural Affairs and Special Events (DCASE) and the Graham Foundation will present the show, with programming in partnership with the American Institute of Architects and the Chicago Architecture Foundation. Iwan Baan will exhibit a photo series about Chicago, the organizers announced in November, and the show will pay homage to Chicago architect Stanley Tigerman, who in 1977 helped mount a seminal conference that gave today’s biennial its name: The State of the Art of Architecture. A full list of the festival’s sponsors and partners is available on chicagoarchitecturebiennial.org.